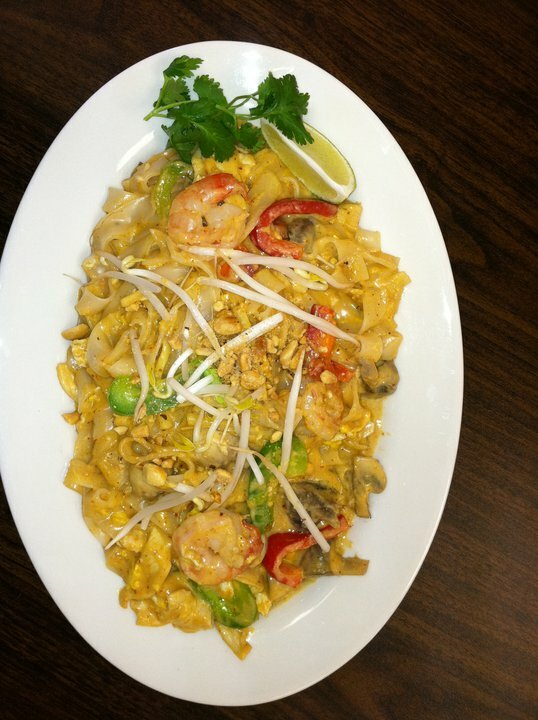 Posted on Feb 25, 2012 by Appleton Downtown Inc.
Mai's Deli Curry Noodle: Shrimp & Chicken, mushroom and bell pepper in a red Thai curry sauce. Garnished with crushed peanuts, bean sprouts, cilantro, and lime. Also, available with Tofu.